Starting with our first meeting, the specialists at JRP focus on fuel partnership and specifically on what’s important to you. What’s your experience with fuel management? What are your concerns? Where do you stand – and what do you believe stands in your way? And, where do you see your enterprise going? 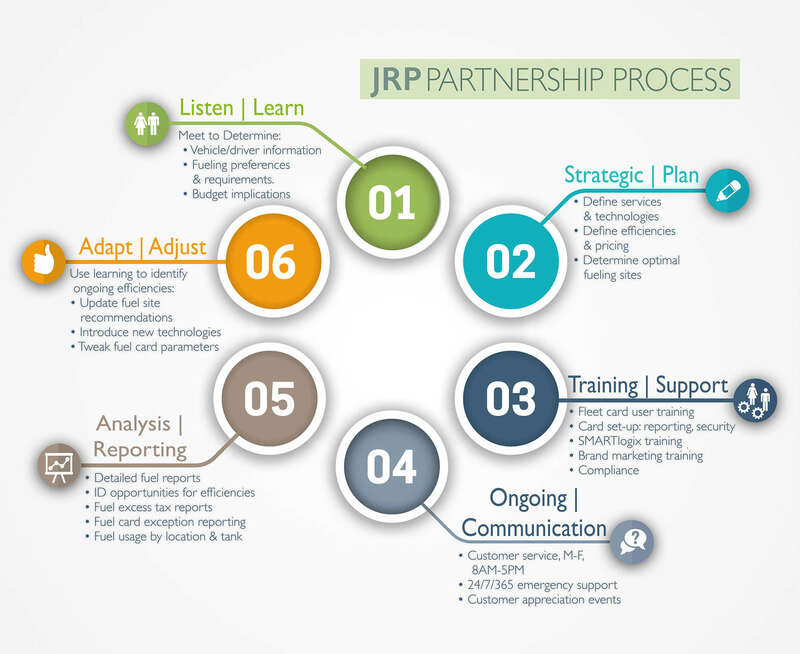 JRP fuel management solutions are designed to be flexible. Our idea of fuel partnership is to meet your short-term goals and long-term vision.